Many of us have that moment. That time, as a young child, when an offhand comment or random moment burrows in our psyche and shapes our self-perception, without us even knowing it. My earliest memory is disliking myself, with my wild mass of black curls and the discomfort of being bigger than most of the girls in my ballet class. I felt average at everything (apart from maths, I thought I totally excelled at being rubbish at maths). I compared myself to anyone and everyone around me; this haunted me through my childhood and into my teens. I wanted to be anyone but me. Then came the moment, the offhand comment that affected me for years to come. “You’re big boned”. In my mind, I heard ‘fat.’ It began a decades-long belief that my self-worth came from my weight. I was never content with myself, always looking for the new diet that would be my miracle. As a result, I thought that unless I was thin, I could not be worthy or happy. I was just 9 years old. I share my story, not because it’s unique, but rather, because it’s not. We live in a culture where girls’ self-esteem peaks at 9 and then starts to nose-dive. New studies show this lack of confidence correlates to the decline in physical activity in pre-teen and teenage girls. This then sets up a vicious cycle: according to Youth Sport Trust, this lack of physical activity leads to poor mental health and low aspirations later in life. This is one of the reasons I’m committed to getting Mini Mermaid Running Club UK into as many UK schools and communities as I can. As Executive Director of Mini Mermaid UK, I want to give young girls the tools to fight negative moments that become parasites on their well-being. I want to reverse the trend of physical activity decline by embedding the value of physical activity on their physical, emotional and mental health. 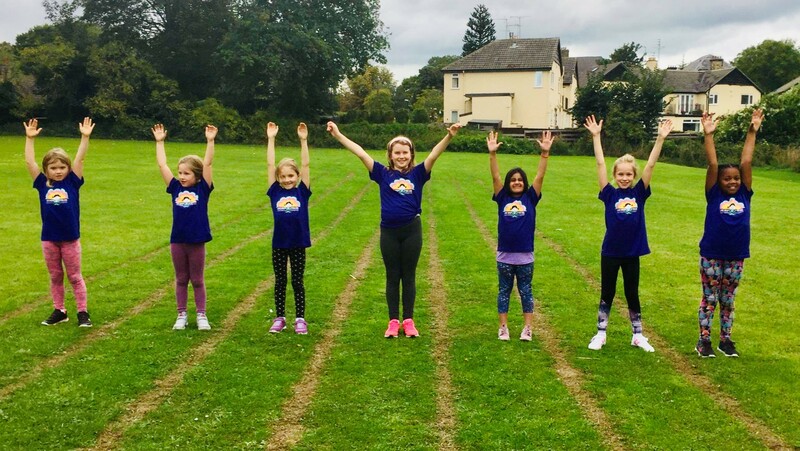 Our programmes, focused on self-development and physical activity, use two characters throughout an 8 week curriculum: Mini Mermaid, represents our inner cheerleader and Siren, represents our inner critic. As girls complete weekly activities, comprising of group discussions, journal work, games and lots of fun physical workouts, they learn to listen and identify which voice they hear and why. They discuss how Siren might hold them back and what tools they can use to decide which voice to follow. Over time, girls turn their Mini Mermaid voice into a powerful force, better equipping them to take on every challenge they face, big or small. An integral part of all of this is being active. Mini Mermaids experience how being outside and being active makes them happy, regardless of how far or how fast they are. They are not comparing themselves to anyone else, just learning to integrate physical activity into their everyday life. At the end of each programme, the girls take on a 5km challenge. They decide how to complete the challenge – run, walk, skip, dance. They take what they have learnt over the programme to propel them across the finish line. Their sense of accomplishment in the moment is exhilarating. The long term impact is exciting. One mum told us that her daughter now uses the physical activity components of Mini Mermaids to manage anxiety and stress about school. Another told us her daughter uses what she has learnt in Mini Mermaids to acknowledge Siren but listen for Mini Mermaid. As compared to the start of the programmes, girls feel 13% more confident about speaking up and 9% more likely to believe they are good at things. I wish I could go back to my 9 year old self and teach her about Mini Mermaid and Siren. To equip myself with the tools to look past that one comment, to focus on what made me amazing and unique and allow me to enjoy growing up! This is why our programme matters. But let me be clear – Siren still has a go at me on a regular basis. But rather than hide those moments, I want to share and show my vulnerability. Siren can be quite loud and I really struggle to quiet her down. Those days where she tells me that every decision I make is wrong. As I’m recovering from a knee injury, she tells me that I will never run as fast as I did. When I’m faced with a stressful time where nothing is in my control, Siren tells me that the only thing that I can control is what I eat. Rather than seeing food as fuel, she tells me to see it as a foe. Now I have the tools to stop and breathe and to look and think. It may not be in the moment when Siren is there, but my strong Mini Mermaid voice eventually come through and tells me my truth. My decisions may not always work, but it means that I am learning every day and that is awesome! My knee is getting better and that shows that my body is strong! In stressful times, I need to treat my body with respect and fuel it to be able to take on whatever it is that I need to do. I believe that looking after our mental health is as important as looking after our physical health. They go hand in hand, interlinked. It is so important to talk, support and listen to each other. Mental health issues do not discriminate and by continuing to champion the Mini Mermaid programmes, I have a chance to help change the story for our next generation. It’s ok to not be ok. It’s ok to talk. We are here. Talk. Share. Show compassion and never judge someone on what they present to the world.